Lizzie joined CLA in 2012 and obtained her RIBA Architectural Qualification in 2015 whilst training as a graduate at CLA. 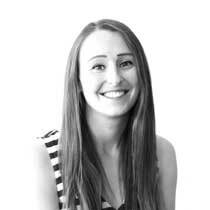 Lizzie has worked on a variety of projects in the residential, commercial and industrial sectors. She is currently working on a large scale laboratory project and on housing development schemes from small scale to large masterplans. In 2017, Lizzie was CLA Young Architect of the Year.